A day after Super Bowl 52 at U.S. Bank Stadium in Minneapolis set new records for wireless data consumption, the Minneapolis-St. Paul International airport had a big wireless day of its own, with 6 terabytes of traffic used on the airport’s Wi-Fi network and another 6.5 TB on the Verizon cellular network. 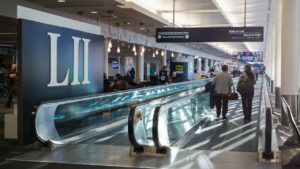 Eduardo Valencia, vice president and chief information officer for the Metropolitan Airports Commission, said the Wi-Fi data used on Feb. 5 was “close to double typical data consumption” on the free-access network provided by Boingo Wireless, even though the airport saw a fairly normal range of users connecting. “There was no spike in [the number] of users, but the users who did connect consumed twice as much data, with downloads about 3 times normal,” Valencia said. The Monday-departure crowd, he said, saw about 31,000 unique users connect to the Wi-Fi network, which Valencia said “is at the top of the normal user range” the airport network usually sees. Valencia said that during the week leading up to the big game on Feb. 4, the airport Wi-Fi saw between 23,000 and 31,000 daily connections. Boingo, which has been powering the Wi-Fi at Minneapolis-St. Paul International Airport (aka MSP) since 2012, updated and expanded coverage a year ago, according to Valencia. Though Boingo would not provide details on how many new APs were added or how many the network has now, Valencia said coverage was increased in many areas, like the tunnels between terminals, to make sure visitors didn’t lose connectivity. The cellular infrastructure at the airport also got an upgrade before the Super Bowl, with a neutral host distributed antenna system (DAS) deployed by Verizon Wireless. The DAS, which uses Corning ONE fiber equipment on the back end, provided coverage for all the top wireless carriers, Valencia said. Though it was cut close — the final pieces went live on Jan. 19, according to Valencia — the expanded DAS, which added antennas all over the terminals as well as outside covering runways, also performed well, according to Valencia. Though only Verizon stats were available, Valencia said Verizon saw an average of 2.8 TB of data per day in an 11-day span around the Super Bowl, with 6.5 TB of traffic seen on Monday, Feb. 5. Like the Wi-Fi traffic, Valencia said Verizon’s day-after total was about double the average daily consumption. 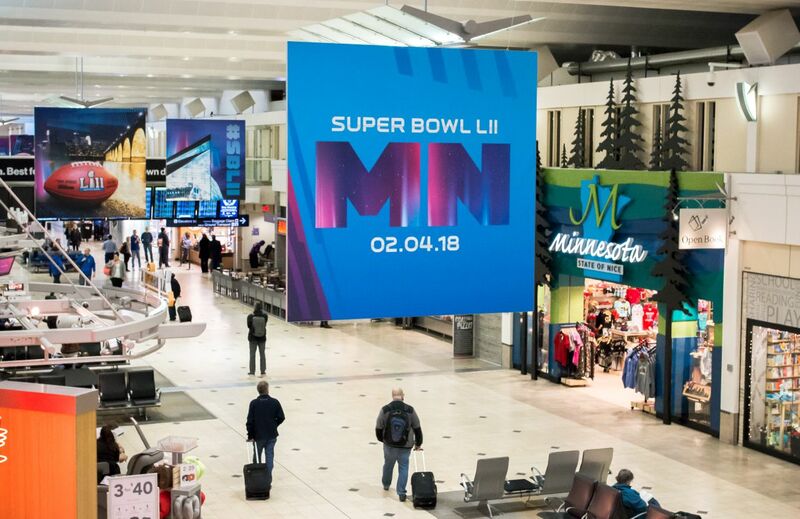 While there is extra pressure to perform ahead of the NFL’s big game — “The NFL told us the Super Bowl experience begins and ends at the airport,” Valencia said — the payoff will stay for years, as all the new network gear added in advance is permanent.